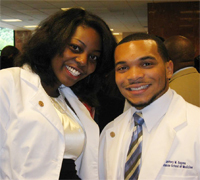 The Masters in Medical Science Program at Hampton University prepares graduate students for entry into medical, dental, and other health professions schools by focusing on content and test-taking skills for professional examinations, and by providing preparation in the courses offered in the first year of health professions programs. 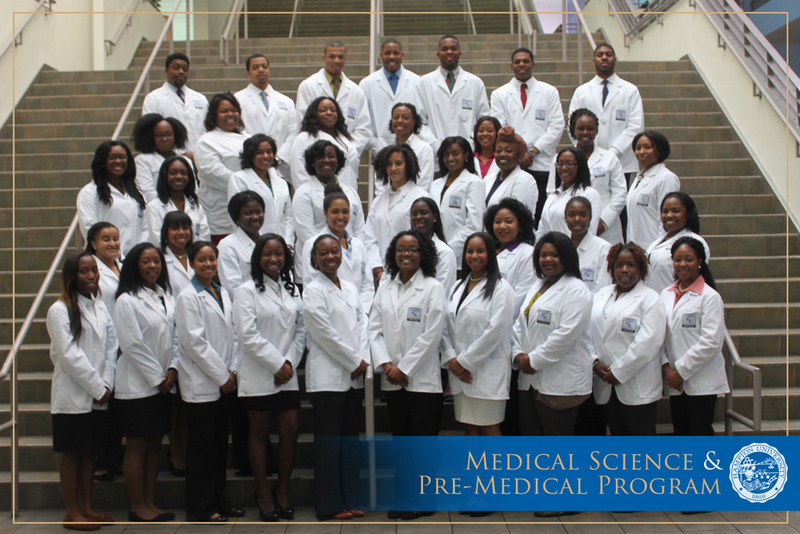 The Medical Science Program separates itself from other preparation programs by offering a Master’s degree upon graduation. The first year curriculum is designed as a rigorous review and preparation for the MCAT/DAT. 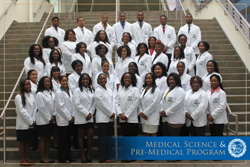 The second year curriculum was designed by the Chair of the Department of Physiology at the Morehouse School of Medicine and the Chair of the Department of Biochemistry at Meharry Medical College to model the first year of Medical/Dental School. The Comprehensive Examination, administered at the completion of the second year and required for graduation, is designed to mimic the Medical/Dental National Board Examination Part I.
Mock interviews, bi-weekly advisement sessions, and seminars on issues such as medical ethics, health disparities, cultural competence, and healthcare financing are integral elements of the program. Guidance on the application process - writing personal statements, completing American Association of Medical Colleges Application Service, AAMCAS, and the American Association of Dental Schools Application Service, The American Association of Colleges of Osteopathic Medicine Application Service, AACOMAS, applications, selecting professional schools, and assistance with completing secondary applications is provided to insure a successful graduation. Please visit the Graduate College webpage to learn more. To download an application visit the Office of Admissions website. Submit a complete application to The Graduate College (GRE Scores are NOT accepted for this program). *Undergraduate students attending Hampton University are encouraged to apply in the fall of the Senior year. *There is NO minimum score criteria for admission. *Test scores beyond 3-years will NOT be considered.